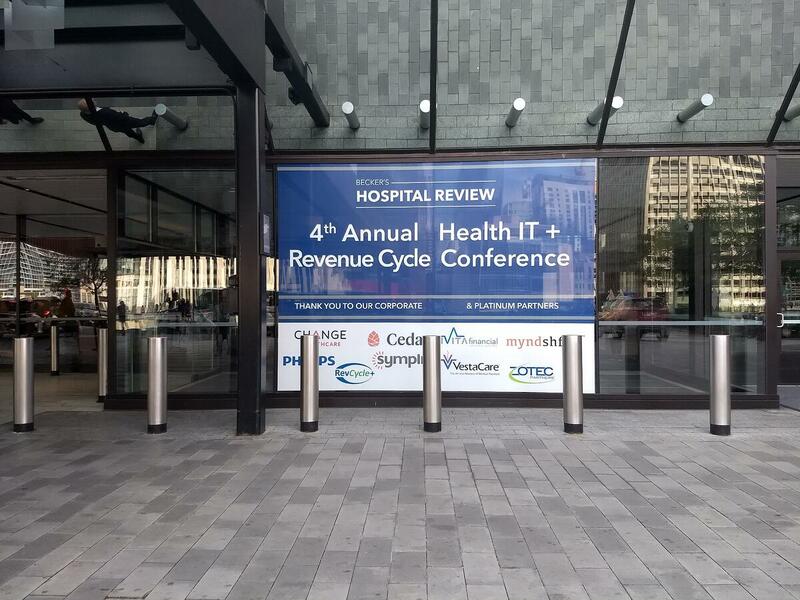 At a time when financial pressures could lead to more hospital closures, it’s no surprise that the Becker's Hospital Review 4th Annual Health IT + Revenue Cycle Conference drew a full audience, to explore how our industry is responding to the growing demands of the patient as consumer. Patients are reluctantly taking claim to the title of the industry’s fastest growing payer, currently accounting for 30 percent of healthcare revenue. A recent poll shows that 46 percent of respondents said they would avoid needed medical care if their out-of-pocket costs exceeded $500. The healthcare consumer experience matters. When it comes to creating a better experience for patients, we often lag behind other industries. A patient friendly bill that can be paid on a mobile device is still the exception and not the rule. But, maintaining privacy is still important. Healthcare has long been risk-averse, and for good reason: we are constantly under high governmental and ethical scrutiny. Patients have the right to control exactly how, when, and where their data is being accessed. It may seem cool that Apple Watch tracks our location and calculates the distance we ran — but do we really want the patient portal app to track our visits to fast food restaurants, along with our elevated A1c levels? Fortunately, we can use modern technologies to empower patients, and also maintain our bottom line. Facing today’s financial pressures means adopting new, mobile tools that can help us to engage patients, and also give them more convenient payment options. The more opportunities patients have to actively manage their conditions and healthcare costs, the better. David Kelly, director of revenue cycle and managed care at Mary Rutan Hospital (Bellefontaine, OH), shared some of his organization’s experiences balancing its own financial needs with those of their patients. David spoke candidly about how their patient financing plans have resulted in a revenue increase for Mary Rutan, as well as a positive response from their community. They also plan to expand online self-service options to make it easier for patients to request information, schedule appointments, and make payments. Several conference attendees also discussed the need to anticipate the long-term impact that automation processes will have on staffing needs and staff development. For example, the automation of simple tasks may mean that new staff have less opportunity to learn “from the ground up.” To truly transform the patient experience and meet the high expectations set by other consumer-driven businesses, changes in patient-centered technologies need to be coupled with strong internal structural supports for healthcare staff. Finally, my experience at Becker’s convinced me that staying solvent in the healthcare industry requires competing with some unlikely rivals for patients’ health and wellness investments — including, but not limited to, Apple. At the same time, the presence of consumer giants in this space are presenting new opportunities for us to provide patients with a more responsive and interactive care experience. It will be interesting to see how much of an impact we can make if we embrace these changes, using platforms and tech devices that already have an enthusiastic audience. Click the button below to learn more about how to engage your patients in their care.